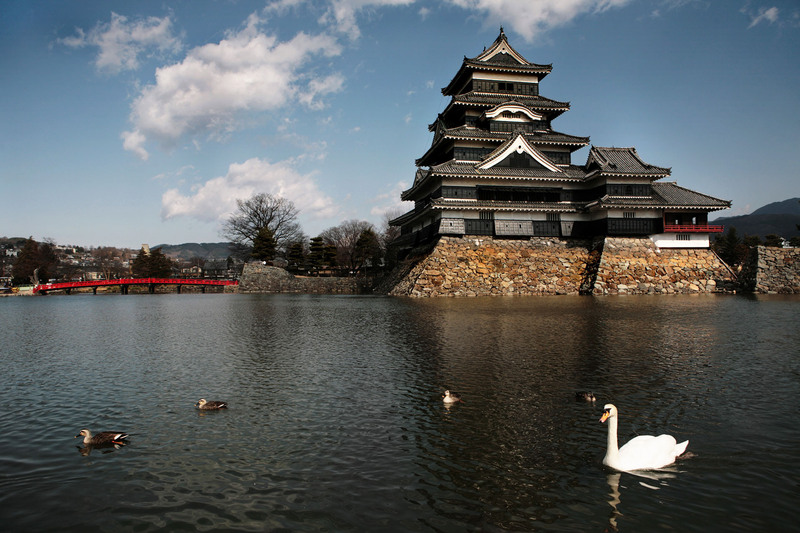 First built in 1504, Matsumoto Castle is one of the best preserved traditional castles in all Japan. This historic site features a dramatic six storey keep that overlooks a huge moat, as well as a total of five separate structures. 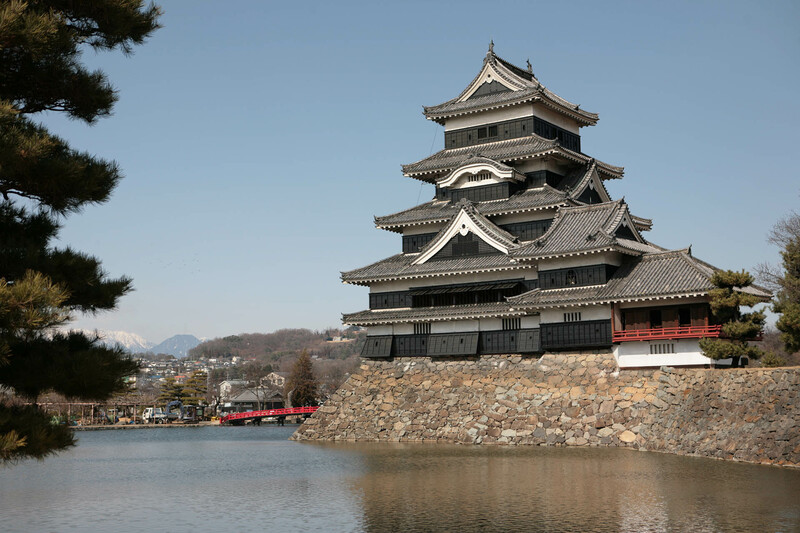 There is only one other castle in Japan that consists of six storeys, so Matsumoto is definitely a must see while you’re in the Hakuba area. The castle walls are mostly black with white highlights which contrast beautifully against the mountainous backdrop. When you arrive at the Castle, you can walk around the Inner Moat area before making your way inside the main keep. 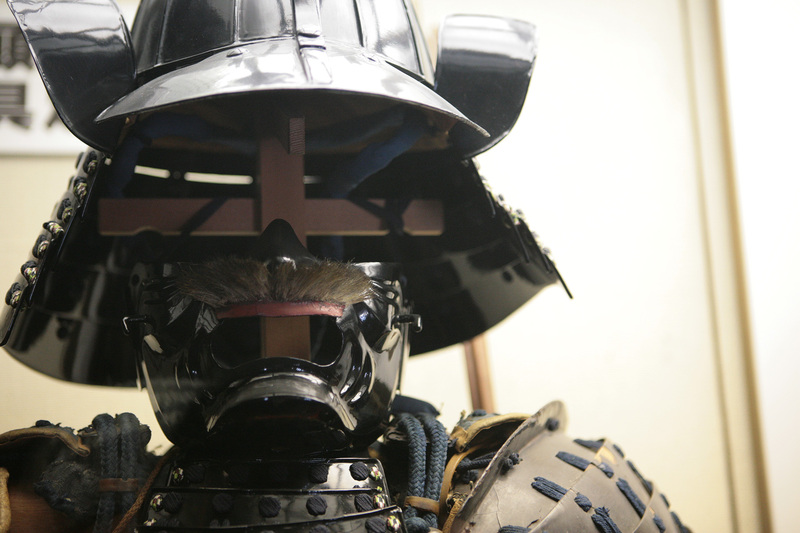 Once inside you can explore each level, viewing samurai armour and weapons that are on display. 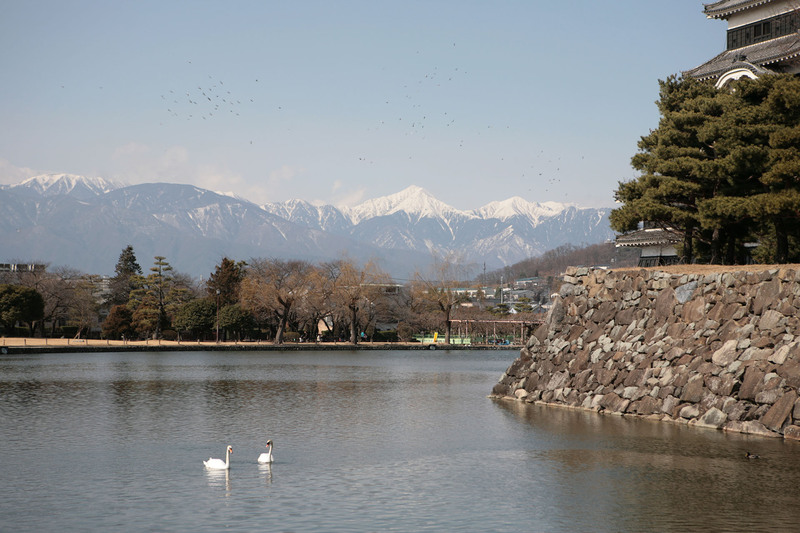 On the sixth storey there is a magnificent view out towards the mountain peaks and across Matsumoto town. The castle was ruled by 23 different lords over a 280 year period up until the Meiji restoration period. The impressive site has been embraced by locals for generations and it was saved from demolition in the late 1800’s because of the love the townspeople have for the castle. The impressive structure still survives in its original design and was designated a national treasure in 1952. A stay in Hakuba is not complete without a visit to this historic site. If you’re considering a trip to Hakuba, SkiJapan.com’s very own Hakuba Gateway Hotel is in a great, central location with onsite ski/snowboard rental, physio, restaurant and access to the Hakuba Valley resorts, transport to Tokyo and local attractions. Enquire now to book your stay in Hakuba and experience everything Japan has to offer.